How Social Media broke me. Where friendships were based on the number of followers, likes and who made it on each other’s ‘ social media. No one will admit to it. It’s too embarrassing, one said. That’s the only way to show the world that they belong and to themselves for achieving their own sense of belonging. For some, that sense of belonging turns to a social dependency. You depend on this circle for support, for constant sanity rants and invitations. And the opposite effects of them can be bitter. Yasmin Mogahed’s words can’t be more apt. Below was an excerpt of her article. I don’t blame anyone but myself for these feelings that I had. I’ve been debating this all year to detoxify myself from social media, people and the world. I gave in to my worldly Nafs too soon every time. “Social Media strengthens another dangerous focus: the focus on other people, what they’re doing, what they like. What they think of me. Facebook feeds the preoccupation with others’ assessment of me. Soon, I enter the orbit of the creation. Inside that orbit, my definitions, my pain, my happiness, my self-worth, my success and my failure is determined by the creation. When I live in that orbit, I rise and fall with the creation. When the people are happy with me, I’m up. When they’re not, I fall. Where I stand is defined by people. I’m like a prisoner because I have given up the keys to my happiness, sadness, fulfillment, and disappointment to the people to hold. One of my goals and priorities this year is this exactly. Part of my detoxification and to declutter my life, from these worldly Nafs and the creations. As the three of us lay here on our bed laughing counting down to New Years and Ayden’s bedtime. Here’s wishing everyone a blessed and less social media frenzy 2018! I am officially embarking on my Happiness Project. The wonderfully inspiring book by Gretchen Rubin. Im only through to the 4th Chapter. 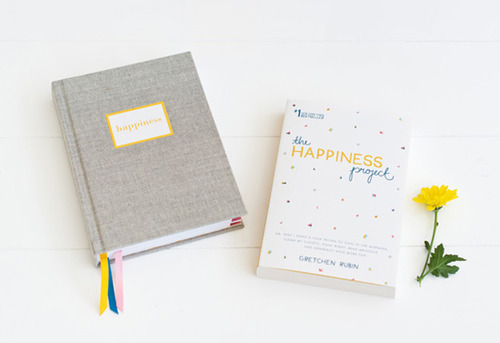 Like Gretchen said, everyone’s happiness project is different in their individual way. Her project is more like a reference and inspirations to derive from. Also along you go, you can pick out tips you never know! So i’ve started my decluttering phase! Decluttered the wardrobe and drawers. The results! 3 bags full of unwanted clothes! But i think i can push it for more! The feeling has been wonderful. Seeing spaces and you can actually see the clothes that you actually have! I colour coded them as well and group them together from tops, bottoms, dresses. That way you know what you already have and you won’t want to buy another black long sleeve top when you already have 3! No more madness finding what to wear in the morning! You just need to be constant. Constantly putting back items where you took them from. Staying organised is the key. Next to declutter: The husbands wardrobe and the work desk area! I know its bad… That corner of the room seems to be the dumping corner. Not for long!